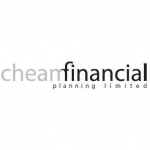 Cheam Financial Planning is a firm of mortgage and insurance brokers specialising in the management of private clients and small businesses. We help our clients navigate complex financial issues from personal insurance and life assurance to mortgages and equity release and our business has evolved primarily through client recommendations. Based in Cheam, Surrey, we provide objective advice with a view to providing our clients with the confidence to stop doing the things they dislike and start doing the things they like. We appreciate the privilege of sitting alongside our clients as a trusted mortgage and insurance broker. We understand that the key financial decisions that are made now will have an impact in the future. Contact us today for advice and guidance on business protection, equity release, health insurance, life assurance, mortgages and insurance. We used Cheam Financial Planning to advise us on getting a mortgage to buy our first property. We received excellent advise and were really happy with the service. As first time buyers we felt that everything was clearly explained and we were able to call/email any questions at any time and always got a quick response. The stressful process of buying a house and organising a mortgage was made much easier by Cheam Financial planning. I would recommend this company to others.